I met Holly at my first ever Tuesdays Together meeting two years ago. I had finally gotten up the courage to go alone, and was extremely nervous to put myself out there. I felt like I was walking into a group of amazingly talented and successful entrepreneurs, and here I was clinging to my full time job, while trying to make a side hustle look like the real thing. Instead, I met the sweetest group of ladies, including Holly, who were so giving with their knowledge and experience and made you felt like you were right there with them in the journey. Holly continued to be a good friend long after that first meeting. Our love for local coffee shops, Harry Potter and our pups kept us connected, especially over instagram. When Holly reached out about her brand, I was thrilled to work with such a talented, creative, and passionate person. The energy and heart that she puts into her work is inspiring. She loves each of her clients so deeply and wants everything to be perfect for their day - but she goes a step further. Her goal is to capture the moments that a bride would look back on ten years later and be so thankful that that memory was frozen in time. Hugging your elated grandparents, the father daughter dance, the moments that you and your best girls share while waiting for the festivities to begin, etc. Her heart is in it for capturing the moments that you’ll look back on and be glad that someone was observant and caring enough to take that shot. Our vision for the brand was to elevate it into the higher-end, while also highlighting that elegant southern charm. We knew she was a summer personality, so using a classic serif font and simple line drawings were important. Her keywords were: high-end, elegant, classic and southern, with legacy and timeless as sub-words. 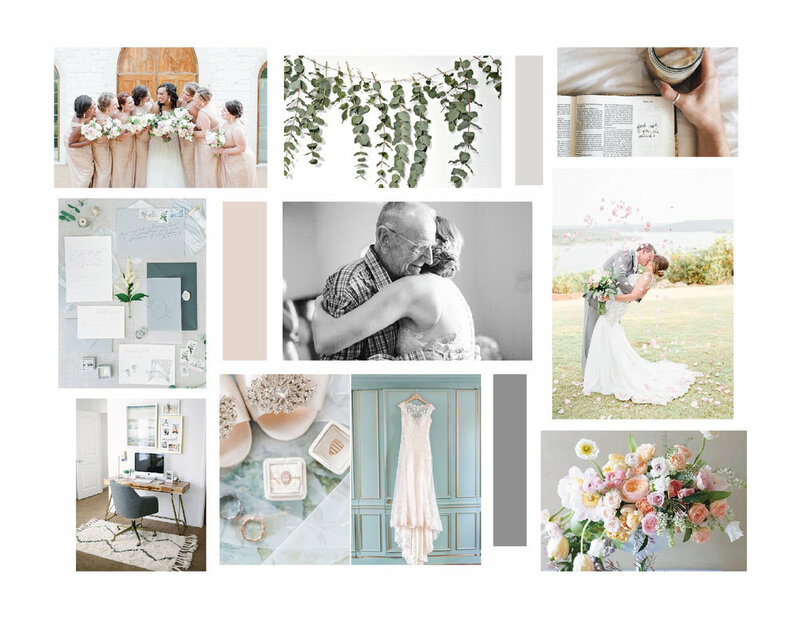 As I brainstormed sketches, family crests kept coming back as I thought about her why: "the power of connection" and her mission statement: "Holly Felts Photography exists to create, serve and encourage couples to believe in their full potential and legacy." Crests, especially ones that are a part of a family heritage, were so special and important in connecting you to the people who shared your blood, your last name, and your history. I wanted to create a simplified crest that would highlight the legacy that Holly helps extend with beautiful pictures of family members celebrating one of the most joyous occasions in life. Check out Holly's website and instagram to see how she implemented her branding.